President Roosevelt, being bankrupt and insolvent. ​What was James Traficant working on when he died? Now The Whole World Knows! Who Owns - THE UNITED STATES INCORPORATED? 1933 US Bankruptcy - You Must Hear This! What was the effect and the significance of Erie vs. Thompkins case decision of 1938? 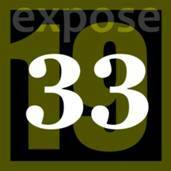 The significance is that since the Erie Decision, no cases are allowed to be cited that are prior to 1938. There can be no mixing of the old law with the new law. The Esquire Attorney , who are members of the American Bar Association, were and are currently under and controlled by the Lawyer's guild of Great Britain, created, formed, and implemented the new Bankruptcy Law. 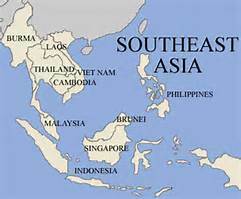 ​South East Asian - Thank You For Your Help! Is our 'GOVERNMENT'? THE UNITED STATES INC. The rewritten Constitution of the UNITED STATES CORPORATION bypasses the original Constitution for the United States of America, which explains why our Congressmen and Senators don’t abide by it, and the President can write Executive Orders to do whatever he/she wants. They are following corporate laws that completely strip sovereigns of their God given unalienable rights. Corporate/Commercial/Public Law is not sovereign (private), as it is an agreement between two or more parties under contract. 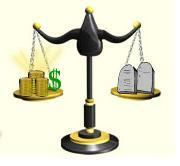 Common Law (which overeigns operate under) is not Commercial Law; it is personal and private. De Jure– Existing by right or according to law; original, lawful. Common Law operates under De Jure terms. De Facto- In practice but not necessarily ordained by law; in fact, in reality. Corporate Law operates under De Facto terms. Sovereign – A real person. Sovereigns can own property while Citizens/Subjects cannot.According to the original Constitution, all government comes from the Sovereign Individual. Without the Sovereign Individual, there is no government. U.S. Citizen/Subject – A corporate fictitious entity that merely represents the real person. It acts as a “strawman.” [To call oneself a “sovereign citizen” or“sovereign subject” is an oxymoron, since “sovereign” and “citizen/subject” are mutually exclusive of each other.] When asked if you are a “U.S. Citizen” on corporate legal documents, if you check “yes,” you agree to the terms of Corporate Law and unknowingly relinquish your sovereign status and transfer all of your rights to the UNITED STATES CORPORATION since you are now under contract. Corporation – A non-human, fictitious entity. Corporate fictitious entities are denoted in all caps. This includes the names of Citizens/Subjects. Your fictitious“strawman” entity is addressed in all caps, i.e. JOHN SMITH, rather than John Smith. Common Law– God’s law. Common Law and the system of De Jure Juries apply to sovereigns in disputes. In Common Law, contracts must be entered into knowingly, voluntarily, and intentionally. are unknowingly giving up all of your Constitutional rights and are legally obligated to follow all of the UCC statues. But you were NEVER told this. In 1788 (January 1), The United States was officially bankrupt. In 1790 (August 4), Article One of the U.S. Statutes at Large, pages 138-178, abolished the States of the Republic and created Federal Districts. In the same year, the former States of the Republic reorganized as Corporations and their legislatures wrote new State Constitutions, absent defined boundaries, which they presented to the people of each state for a vote...the new State Constitutions fraudulently made the people “Citizens” of the new Corporate States. A Citizen is also defined as a “corporate fiction." In 1845, Congress passed legislation that would ultimately allow Common Law to be usurped by Admiralty Law. www.barefootsworld.net/admiralty.html explains this change. The yellow ringe placed at the bottom of court flags shows this is still true. Before 1845, Americans were considered sovereign individuals who governed themselves under Common Law. In 1871,The United States became a Corporation with a new constitution and a new corporate government, and the original constitutional government was vacated to become dormant, but it was never terminated. The new constitution had to be ratified by the people according to the original constitution, but it never was. The whole process occurred behind closed doors. The people are the source of financing for this new government. In 1917, the Trading with the Enemy Act (TWEA) was passed. “This act was implemented to deal with the countries we were at war with during World War I. It gave the President and the Alien Property Custodian the right to seize the assets of the people included in this act and if they wanted to do business in this country they could apply for a license to do so. By 1921, the Federal Reserve Bank (the trustee for the Alien Property Custodian) held over $700,000,000 in trust.”Understand that this trust was based on our assets, not theirs. From a speech in Congress in The Bankruptcy of the United States Congressional Record, March 17, 1993, Vol. 33, page H-1303, Speaker Representative James Trafficant Jr. (Ohio) addressing the House states: “...It is an established fact that the United States Federal Government has been dissolved by the Emergency Banking Act, March 9, 1933, 48 Stat. 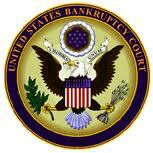 1, Public Law 89-719; declared by President Roosevelt, being bankrupt and insolvent. H.J.R. 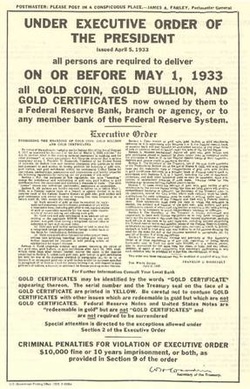 192, 73rd Congress m session June 5, 1933 Joint Resolution to Suspend the Gold Standard and Abrogate the Gold Clause dissolved the Sovereign Authority of the United States and the official capacities of all United States Governmental Offices, Officers, and Departments and is further evidence that the United States Federal Government exists today in name only. The receivers of the United States Bankruptcy are the International Bankers, via the United Nations, the World Bank and the International Monetary Fund. All United States Offices, Officials, and Departments are now operating within a de facto status in name only under Emergency War Powers. With the Constitutional Republican form of Government now dissolved, the receivers of the Bankruptcy have adopted a new form of government for the United States. HOW CAN WE REPAIR OUR COUNTRY RIGHT NOW? “The Supreme Court has said the De Jure Government offices still exist but the people have failed to occupy them.